We have all seen people with funky-laced running shoes, but have you ever wondered why or what purpose different lacing techniques solve? Below, you will find five different ways to lace your shoes that might help alleviate some issues you currently have with your feet and shoes and get you performing at your best during your runs. Not a runner? No problem! 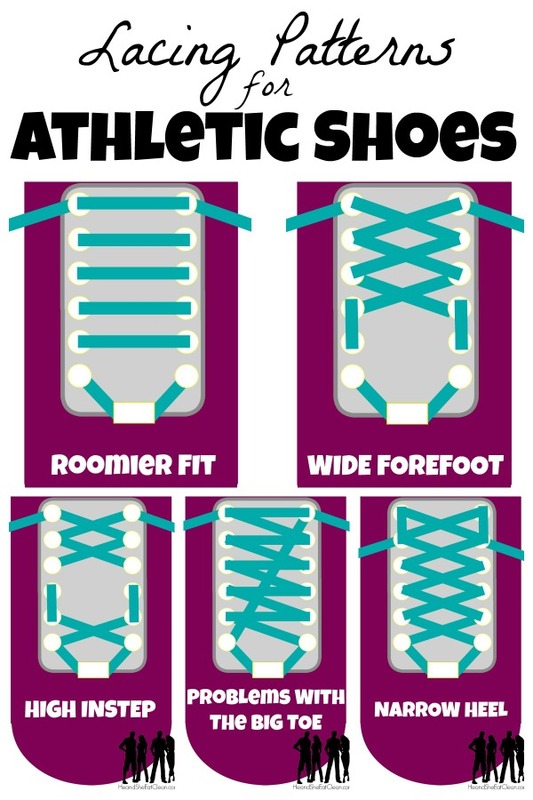 These shoe lacing techniques work for in or out of the gym! Have high arches? 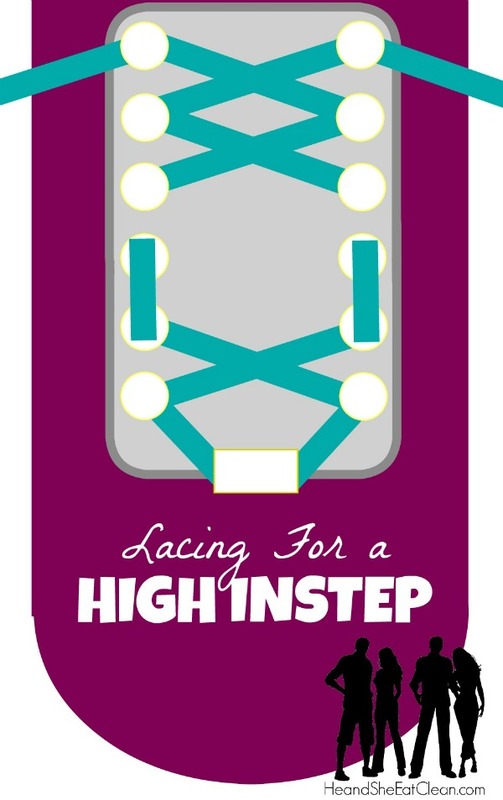 Following this lacing technique can help alleviate pain and stabilize a foot with a high instep. Foot constantly slipping in and out of your shoe? 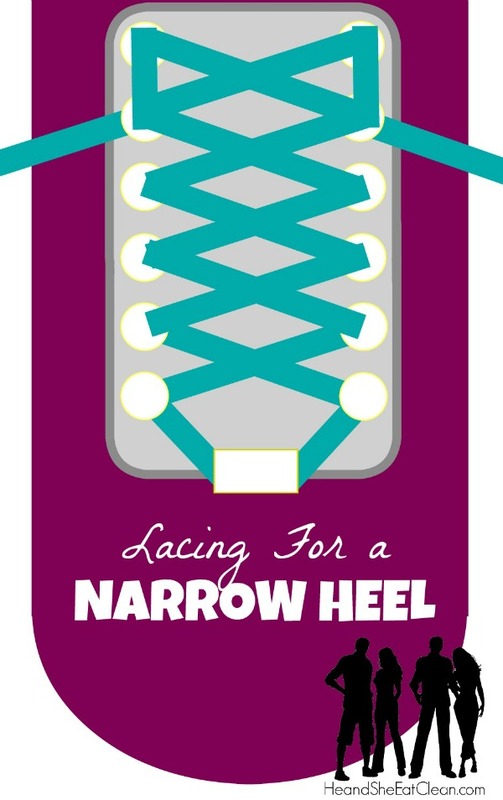 Follow these shoe lacing pattern if you have feet with narrower heels. If you have problems with your big toe, or even black toenails (ouch! ), you should try this lacing technique. I danced on pointe for many years and my big toes are still tender to the touch. This works great for me and my running shoes! Is the front of your foot wide? 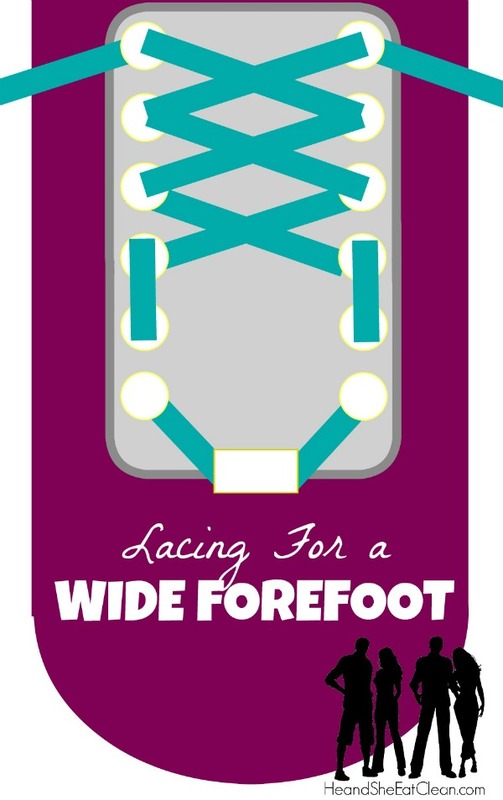 Give your forefoot some additional room while cinching up the top part of your foot with this lacing technique for a wide forefoot. Just feel confined in your athletic shoes? No worries! 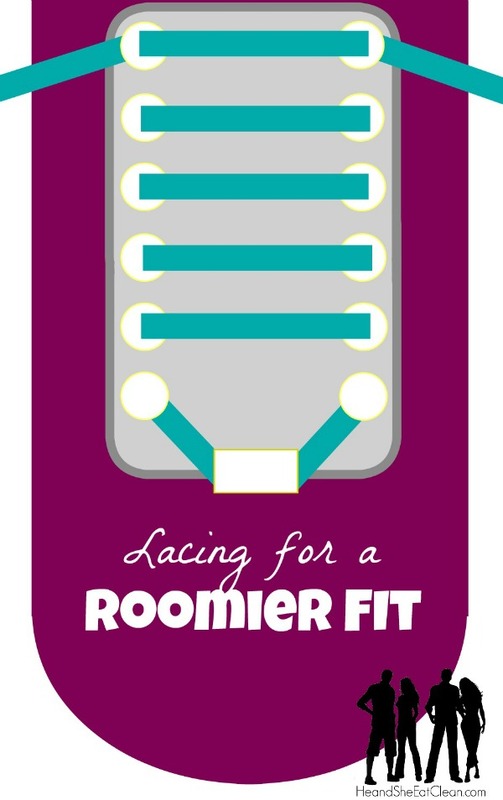 This lacing pattern will help give you a roomier, less confined fit. NOTE: This pattern is simple to look at, but a little harder to accomplish if you are in a rush. There are some great videos on YouTube if you need one! 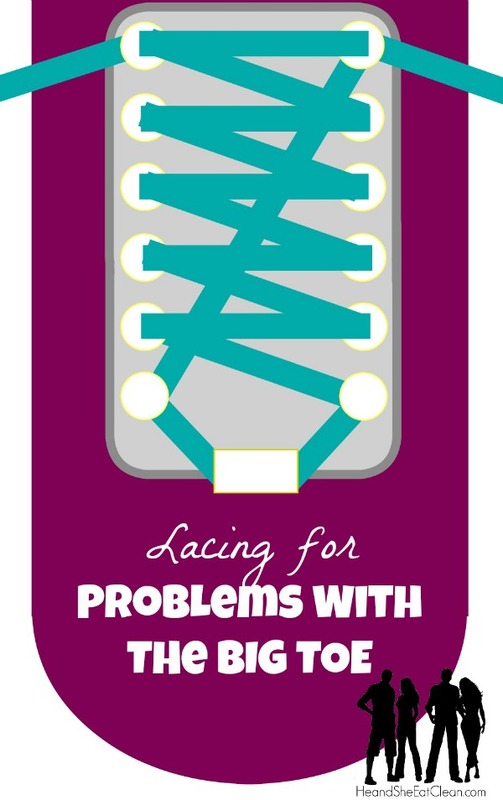 Have you tried one of these lacing patterns for your running or athletic shoes? Which worked best for you? Need a little extra help with incorporating strength training with your runs? Don’t want to think about your workouts? Let us be your personal trainers with our She Sweats 12-week Run Builder and decrease your mile time. It guides your workout each day and has everything you need! Find out more!